Multisensory design has been developed from the idea that humans experience life through their senses. The surroundings individuals are in can influence mood and concentration, can enhance work or hinder work output. Concentration is vital for good work performance. Absolute alertness and attention are essential to attain and maintain concentration and the environment can be conducive to this by affecting an individual’s mood or state of mind. 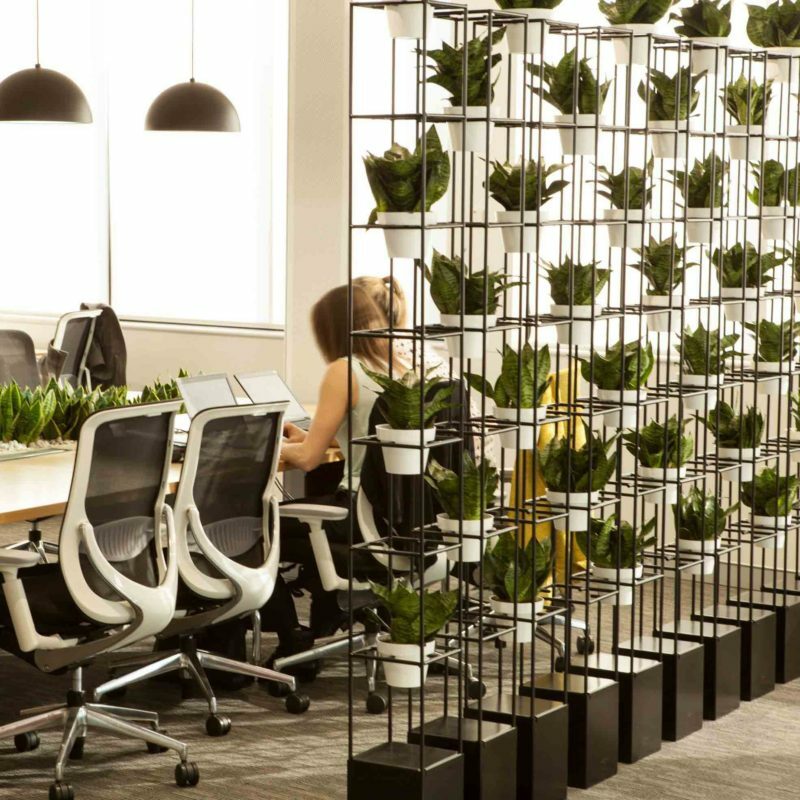 Multisensory office spaces are being recognized as an important factor in workplace wellness and productivity and plants are an important tool to achieve a great multisensory office environment. It’s fairly common knowledge that plants have restorative qualities and improve atmospheric conditions. Plants also offer excellent acoustic dampening effects. Live plants, as beautiful as they may be when purchased, have some serious drawbacks when installed in an office environment. For one, live plants need light to grow or just to survive! Artificial light can help to overcome this problem but if plants are not placed in clusters, to provide light for every plant can be very costly, let aside the aesthetics. For another, live plants need water! Some plants are notoriously thirsty while other plants stay more abstinent. For both types of plants, over watering is the number one killer. A starving plant can be reanimated but not without lasting damages. Correct watering needs someone with a green thumb, so more likely than not a professional gardener needs to do this and carry out other maintenance such as pruning and cleaning of the leaves etc. Another problem with water is that it has the capacity to mess up expensive floor material when spilled over from the flower pot for example. Nevertheless, live plants have a place in an office and that’s on the wall! 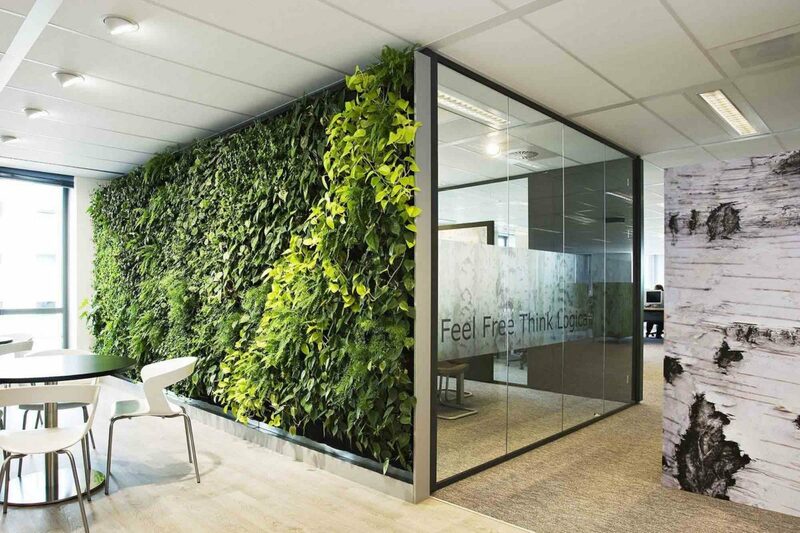 At KONTOR 202 we use a modular system to create live green walls. The system is flexible enough to cover any size of wall and has the advantage that plants can be inserted in the module trays complete with their pots and replaced, should this become necessary. Each tray contains a water reservoir, sufficient to maintain a water cycle of up to 4 weeks. For larger walls a recirculating irrigation system can be installed. Maintenance is limited to pruning and light is usually installed on the ceiling close to the wall. The system has the additional advantage that it can be installed without the need to protect the wall against water damages. This makes it easy to install and with a minimum amount of inconvenience. Stay tuned for part II of this article that will give you in depth information on preserved plants and materials that can be used other than live plants with the same effects.